Baildon Walkers are Welcome had a stall at the Carnival last weekend to promote our summer walks programme and make our publications available to local residents. We also signed up a number of new members! 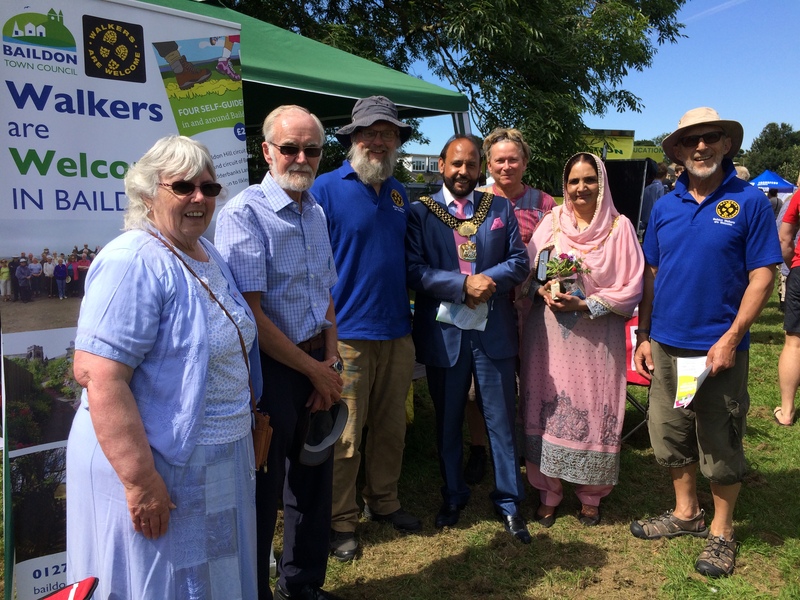 The photo is of Bradford Lord Mayor and Lady Mayoress, Town Cllr Lesley Brook, with members of Baildon Walkers are Welcome, at the stall.